You may have watched the construction this winter of a new permanent labyrinth on the grounds of Emmanuel Episcopal Parish. 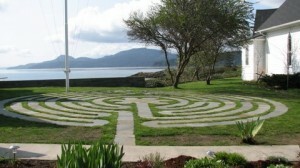 We are pleased to announce its completion and extend our welcome to come walk the labyrinth. Last November, the land was blessed by representatives of the Samish tribe and on May 15 this year, the labyrinth itself will be blessed.